I never considered other factors we face daily such as air-conditioned rooms, pollution during commute, and hot showers. 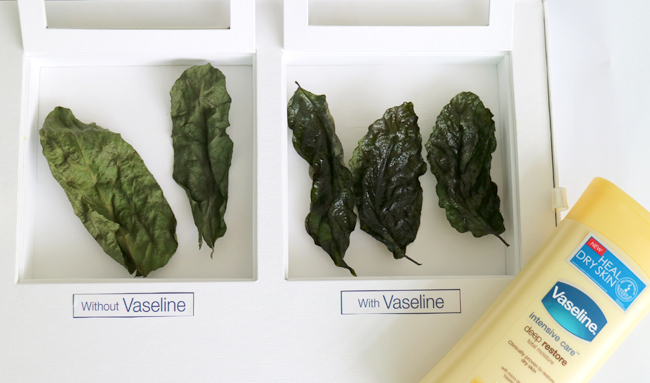 Meet the new Vaseline. Specially formulated to battle these dry skin causing factors. Check out the leaves above. One batch was treated with Vaseline Petroleum Jelly and the other wasn't. After 3 days, you can see that the group with Vaseline was able to retain its moisture. So the new Vaseline lotions now have micro-droplets of Vaseline Jelly that works deep from within the epidermis to bring back lost moisture and heal dry skin. 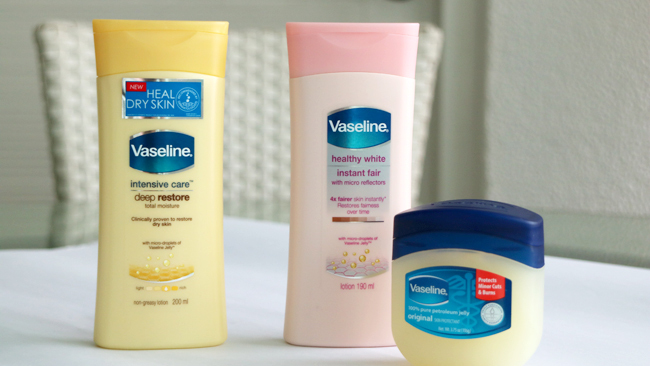 To know the condition of your skin, take the Dry Skin Test on http://vaseline.ph/skin-index-test.